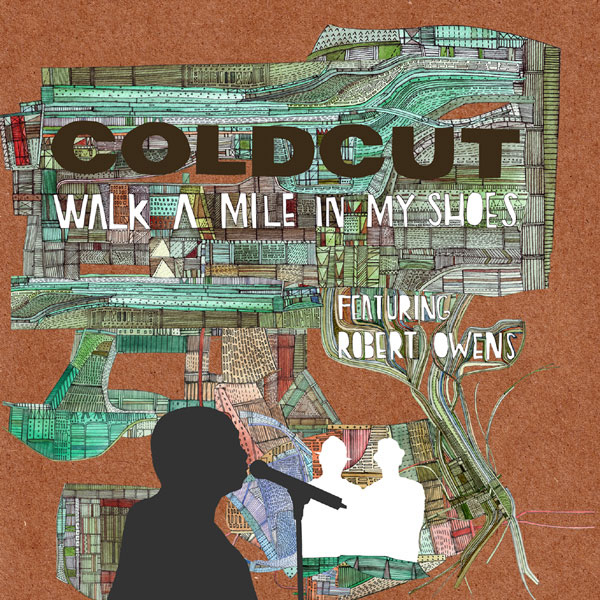 Ever since the demise of Yazz, Coldcut have been threatening to make the kind of high-octane dance track that would seem them again garnering fame beyond the turntable obsessives and cracking the charts once more... Well, with 'Walk A Mile In My Shoes' they might just have JK & Joel knocking. Liberally dripping in samples, 'Walk A Mile In My Shoes' manages to shoe-horn such diverse source material as Joe South's Seventies hit of the same name alongside Massive Attack's 'Unfinished Sympathy' - all of which forms a searing foundation for Robert Owens sky-high vocal. One half of Chicago's Fingers Inc and collaborator with the likes of Photek, Owens has that rare ability to deliver lightly carbonated vocals in a manner that avoids any accusations of frothy showmanship. A dictionary definition of the term "anthemic", 'Walk A Mile In My Shoes' might be a little too gleeful for some in its original form - with house beats skittering and chord stabs a-go-go - but if you find it al a little wearing, the ruck of remixes will have something for everyone. From the mixes, undoubtedly the pick of the bunch is that from Mr. Schwarz - wherein the original is deconstructed and rebuilt as a carbonated slice of laid-back jazz, whilst Tiga bleaches out the original and installs some jacked up electro action. Cold as ice!